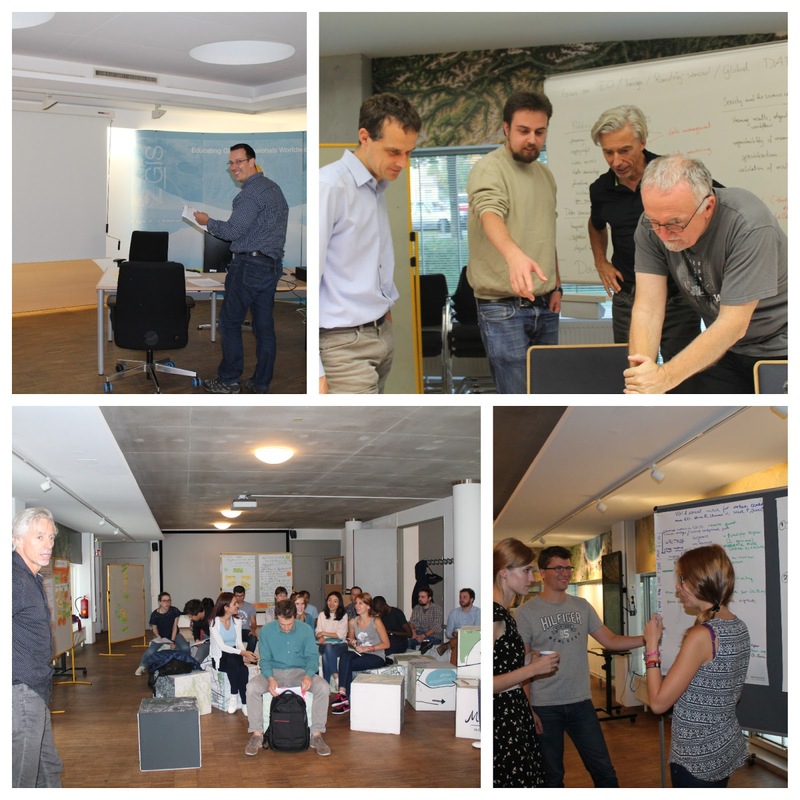 Starting with January 2018, 26 partners from 16 countries - including Z_GIS/University of Salzburg - and initially 22 associated partners will collaborate in the the new EO4GEO project, which is focusing on education and training in the space/gesopatial sector. EO4GEO - Towards an innovative strategy for skills development and capacity building in the space geo-information sector supporting Copernicus user uptake is coordinated by the GISIG association and will run for four years. The project aims at bridging the skills gap between supply and demand of education and training in the space/geospatial sector. The collaboration partners are focusing on reinforcing the existing ecosystem and fostering the uptake and integration of space/geospatial data and services in end-user-applications. EO4GEO is an Erasmus+ sector skills alliance gathering partners from the education/training and space/geospatial sectors . Most of the partners from academia, private and public sector are part of the Copernicus Academy Network. 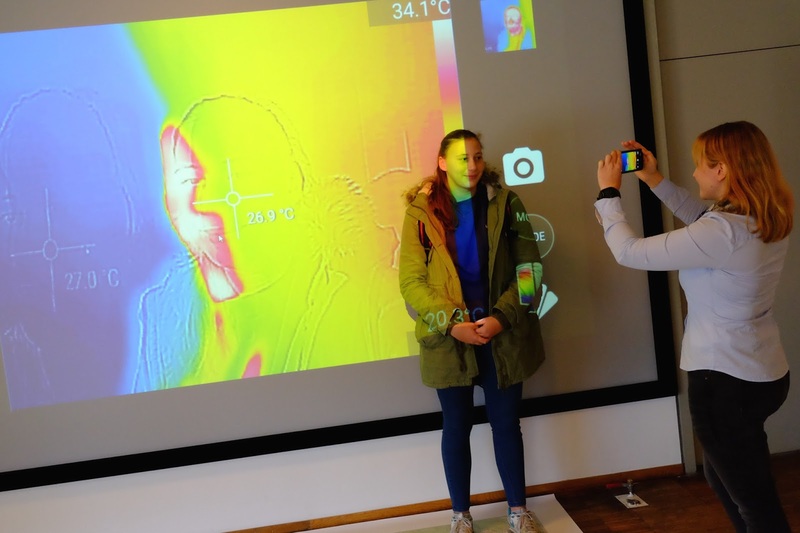 The project has been approved by the EU Education, Audiovisual and Culture Executive Agency (EACEA). reports on the development and application of object-based image analysis (OBIA) methods for semi-automated landslide mapping using optical and SAR remote sensing data. 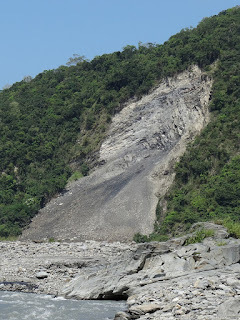 Both the complexities in efficiently and accurately identifying, mapping and inventorying landslides as well as the potentials of powerful methods such as OBIA coupled with results from synthetic aperture radar interferometry (InSAR) are described and discussed. 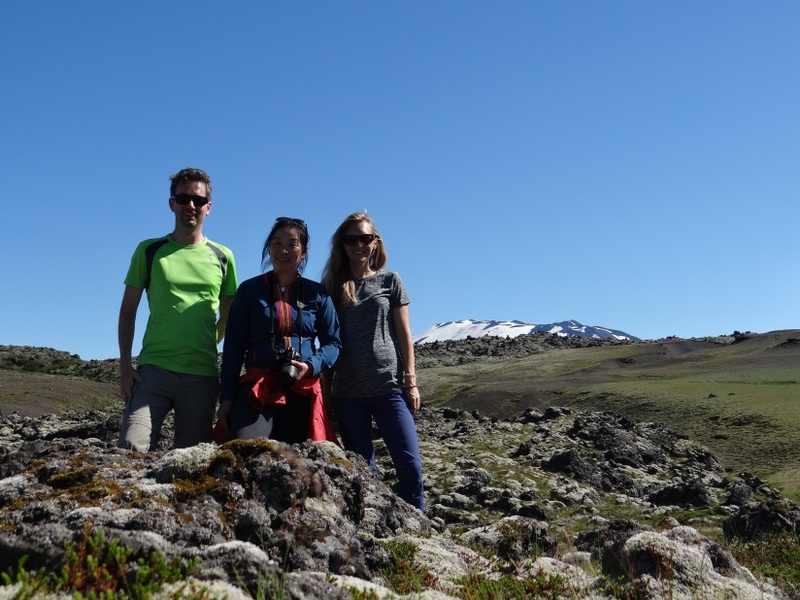 Quotations from Daniel Hölbling are exemplified by several examples from his and his colleagues’ research on landslides in Taiwan, New Zealand and Iceland, including field photos from past field trips. 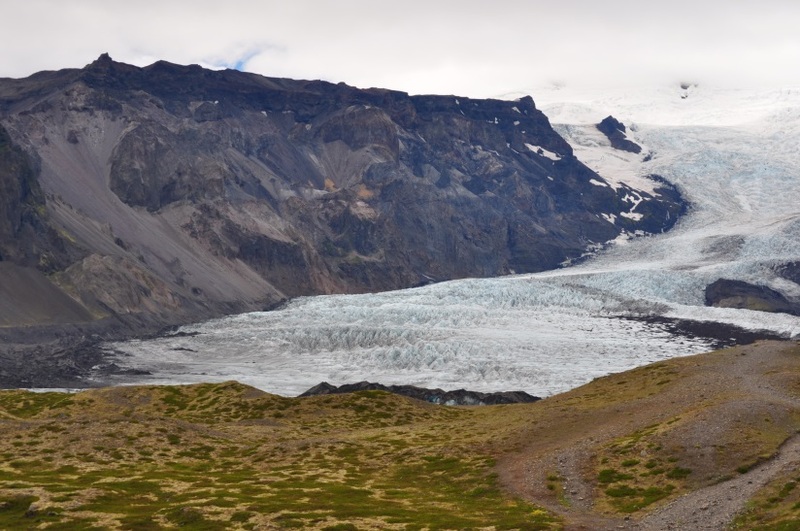 The article also emphasizes the ongoing research carried out in the MORPH (Mapping, Monitoring and Modelling the Spatio-Temporal Dynamics of Land Surface Morphology) project. The article by freelance writer Mary Jo Wagner was compiled based on interviews with and material provided by Daniel Hölbling, who coordinates the landslide related research at Z_GIS. The story was also published in the November issue of the American Surveyor Magazine. Z_GIS was invited to the Regional Conference on Cooperation in Higher Education organized by the European Commission's offices in Brussels and Myanmar on 29th and 30th November, 2017 in Yangon. The main aim of the conference was to foster cooperation among various Higher Education Institutions (HEIs) in Europe and the ASEAN region (especially from Myanmar, Laos, Thailand and Vietnam) as well as motivate the ASEAN HEIs to apply for various types of projects within the ERASMUS+ framework. Altogether, the conference attracted about 150 participantsk. The conference was adorned by high level delegates, i.e. Mr. Kristian Schmidt (Ambassador of the European Union to Myanmar), H.E. Prof. Dr. Myo Thein Gyi (Myanmar Union Minister for Education), Ms. Milvia van RIJ-BRIZZI (Head of Department - Erasmus+ & EU Aid Volunteers, European Commission, Brussels), a large number of Rectors, Vice Rectors and Professors from various HEIs in the region. Dr. Shahnawaz represented Z_GIS in the conference and gave a presentation about an ongoing ERASMUS+ KA2 project 'GeoServices-4-Sustainability (GeoS4S)'. The organisers also asked him to lead a group of the participants from various HEIs aspiring to submit a project proposal. He explained to them various steps from designing an innovative project idea to developing a competitive project proposal and submitting complete documents. Later he was invited for a meeting at the Department of Geography, University of Yangon for exploring the opportunities of cooperation with Z_GIS. 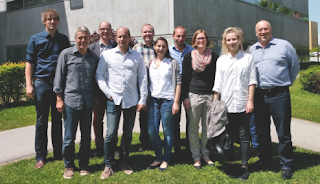 The context of climate smart coffee and cacao is in the focus of a PhD carried out by Mona Bartling (supervisor: Prof. Thomas Blaschke). The PhD topic is based on the BMZ (German Federal Ministry for Economic Cooperation and Development) funded project “Climate smart coffee and cacao: from theory to practice” (CSCC), carried out from January 2017 until December 2019. 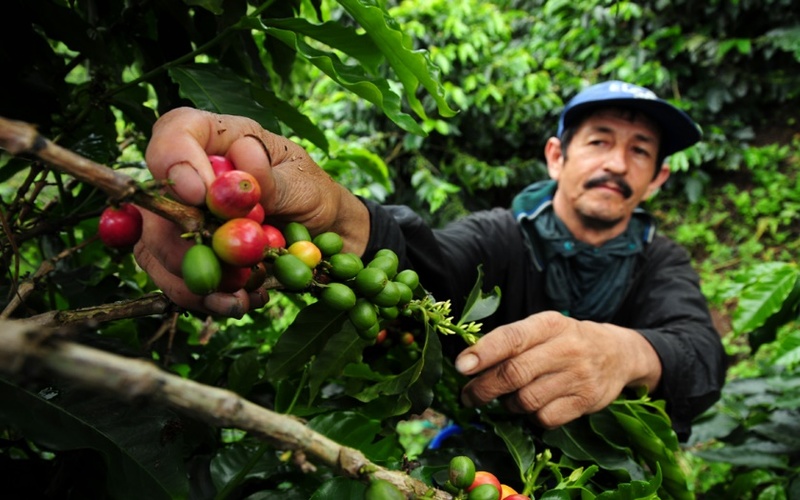 The CSCC project seeks to improve coffee farmers’ income level while increasing the coffee systems resilience against climate change by mainstreaming climate-smart adaptation and mitigation practices. Capacity will be built throughout the sector to deliver site-specific information by using the GeoFarmer application which is based on the GeoCitizen platform. These ICT tools will be further developed and used for ‘real-time’ delivery and monitoring of Climate Smart Agriculture (CSA) package implementation, collection of feedback from all actors and in all stages of the project. 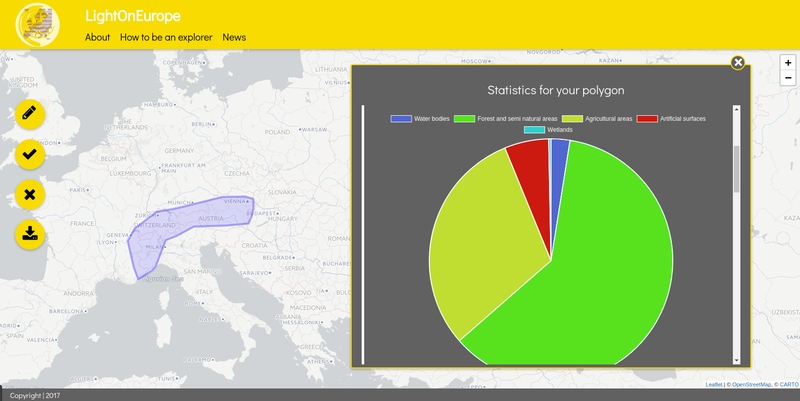 The GeoCitizen platform is the English version of the Bürgercockpit application which is being further developed by the Z_GIS spin-off Spatial Services. Therefore, the enhancement of ICT tools within this project is of use not only to the GeoFarmer application, but all derived application versions of the GeoCitizen platform. In her PhD Mona Bartling focuses on improving the usability of these ICT platforms by studying the implementation of gamification elements for enabling a higher level of participation, in particular of marginalised user groups with a low level of digital literacy. Partnering institutes in this project are the International Center for Tropical Agriculture (CIAT) and the International Institute of Tropical Agriculture (IITA). 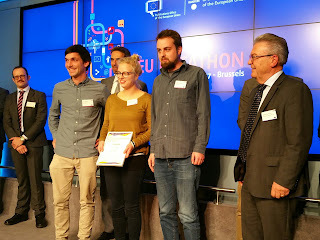 Z_GIS graduates Jakob Miksch and Martin Sudmanns (who is now part the scientific team at Z_GIS) and their colleague Karina Krampf got second place at the first EU Datathon in Brussels for their web application LightOnEurope. Congratulations! The web application allows users to explore any region within Europe by simply drawing it on the map – regardless of administrative boundaries. Based on the user-defined region, the app renders an infographic which conveys relevant and easy to comprehend information on it. 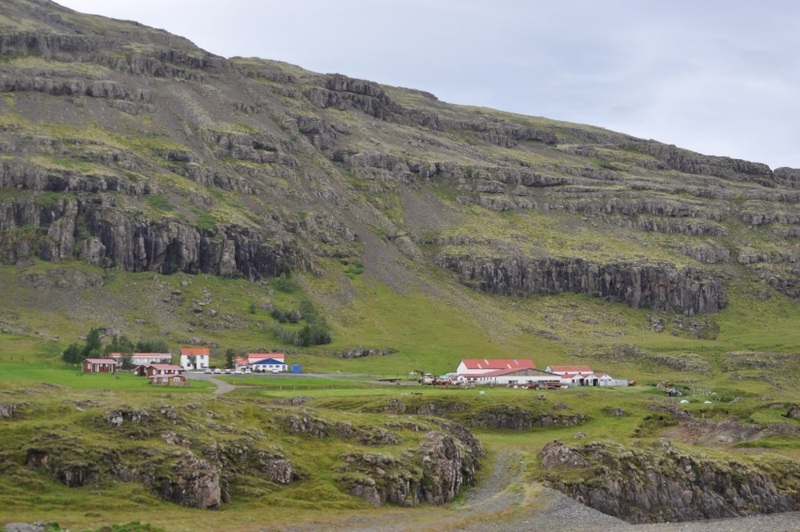 Currently, open data on population, landcover, mountains and climate are included. An extension with other datasets such as infrastructure and lakes, but also real-time information on the weather, etc. is envisaged. The app aims to support citizens in exploring regions and in understanding their spatio-temporal dynamics. It is also relevant for other domains such as tourism and transportation and it supports enterprises in finding attractive business sites. The EU Datathon 2017 – Reusing European Union open data for jobs and growth – EU Open Data Portal Datathon was jointly organised by the Estonian Presidency of the Council of the European Union and the Publications Office of the European Union. Presenting the LightOnEurope app, the jury emphasised the use of geospatial location to combine datasets across the borders of EU states – an approach which is familiar to the team as all three members are geographers. More information and news on the app - including the launching date - is available on Twitter and the LightOnEurope-Website. For more information on the app take a look at the presentation and the demo video. 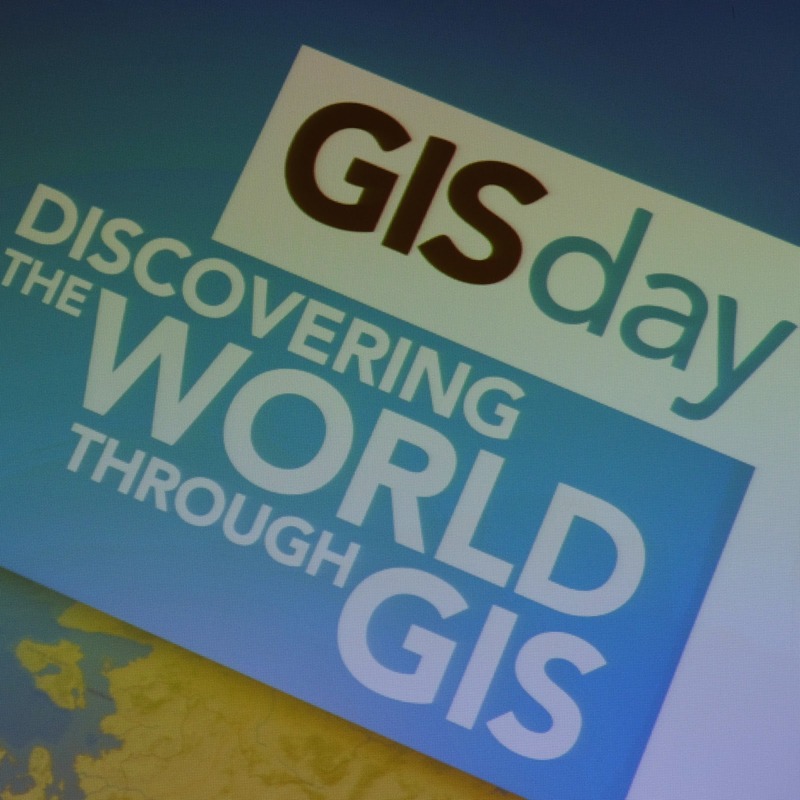 About 100 pupils and 40 teachers from a variety of high schools from Salzburg and Upper Austria attended the 2017 GIS Day event at the Z_GIS iDEAS:lab to explore geospatial technologies and applications. After an initial talk on "Location as interface – geomedia in the 21st century" by Robert Vogler a wide range of topics and tools was presented and tested by the participants: sensors and smart buildings, microsimulations, learning with geomedia and rightwing extremism and geomedia, to name just a few. The attendees actively participated in the programme, such as a group of pupils who shared its experience with the GI Learner programme. Some teachers attended the event in the course of a teacher in-service training. Cities are known as complex, densely populated environments with transport infrastructure playing a substantial role. With a new policy push to shift people’s travel behavior to healthy mobility, improved cycling routes may positively alter the comfort of travelers. A model of traffic flow can help city planners to delineate spots where road rearrangement is required. By means of a simulation approach the model can imitate disaggregated movements of a very large amount of travelers in a spatio-temporal manner. Characteristics of a built bicycle network and a natural environment influence the choice of every individual to use their preferred transport mode and route within a day. Thus, dynamic assignment of people’s daily activity schedules depends on a combination of their personal attributes, along with environmental conditions and interactions. These assumptions in transport modelling are supported by an agent-based approach, which allow unpredictable patterns to emerge. 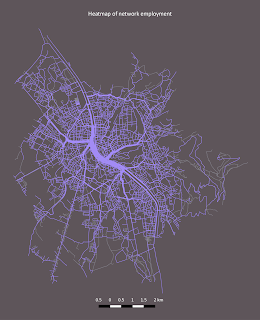 The FFG funded FamoS project develops such a bicycle traffic flow model for the city of Salzburg in the GAMA-platform simulation environment, using the agent-based modelling approach. 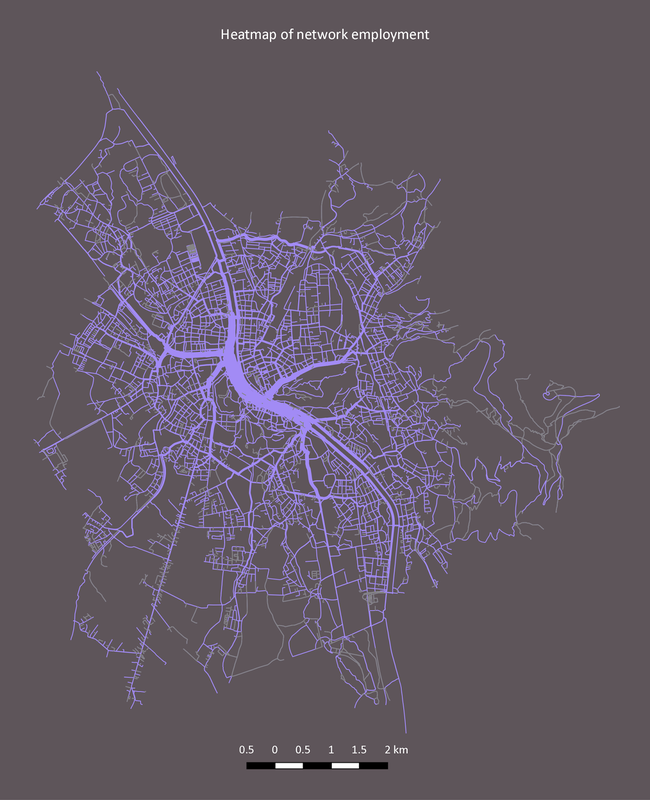 A project partner, the Institute of Highway Engineering and Transport Planning from the Technical University of Graz, implements a classical 4-step transport modelling technique to develop a similar bicycle demand model for Graz. Congratulations to Martin Sudmanns, Hannah Augustin, Christian Werner, Anna-Maria Cavallaro, Dirk Tiede and Stefan Lang! The Z_GIS researchers developed and submitted a web-application to the Copernicus Masters University Challenge 2017. 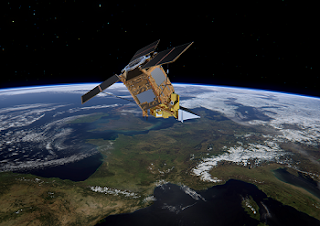 The tool aims to improve the conceptualisation, planning and feasibility assessment of earth observation (EO) projects by providing information about the suitability of data for known project specifications. Projects utilising European Sentinel satellite data can be approached more efficiently, saving time and initial planning costs. The tool will also aid less experienced users of EO-data towards more efficient and targeted project planning and execution. The interactive Web-based tool visualises and analyses the metadata of the 2+ million currently accessible Sentinel-2 images, revealing spatio-temporal variability of acquisitions that inherently influence analyses. 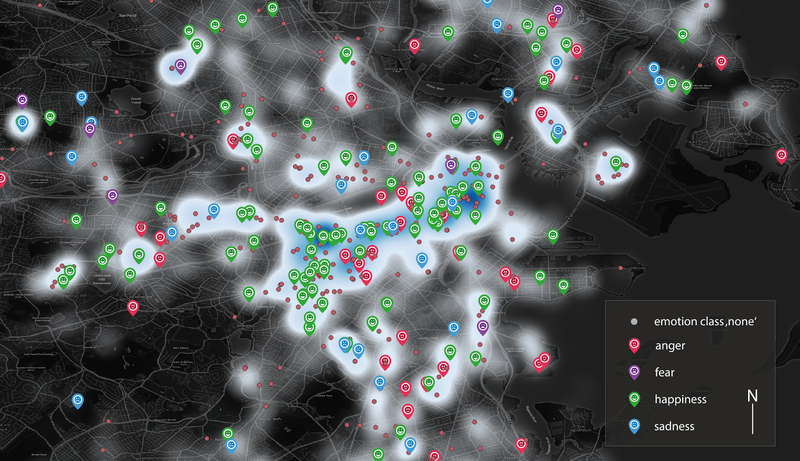 It allows querying spatially explicit aggregated information, such as average cloud cover, average time span between scene acquisitions, time gap between cloud-free scenes, etc. Analytical maps explore specific themes (e.g. cloud cover) improving the identification of suitable study areas, or retrieval of Sentinel-2 imagery for a use-case with specific data characteristics. For example, a project team might be interested in monitoring deforestation in Indonesia based on change detection using a time-series. With the tool, the users can select an area-of-interest and immediately retrieve relevant information about the frequency of acquisition, historic information of the average time between cloud-free acquisitions, etc. 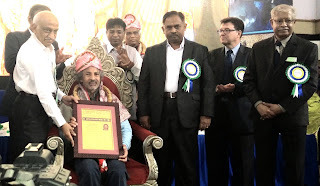 Dr. Shahnawaz has been has been honoured with the ‘Excellency Award 2017’ by the Union of Geographic Information Technologists (UGIT) established at Bangalore University, India for his contributions in enhancing geospatial education, training and research in South and Southeast Asia over last fifteen years. He is Director of UNIGIS S/E Asia at the Interfaculty Department of Geoinformatics - Z_GIS, University of Salzburg, Austria and has established cooperations for Geospatial education between Z_GIS and a number of leading universities in S/E Asia and implemented a range of cooperation activities. Dr. A. S. Kiran Kumar, Chairman - Indian Space Research Organisation conferred the award on Dr. Shahnawaz in Bangalore during the inaugural session of the 6th UGIT’s International Conference on Climate Change and Sustainable Water Resource Management – Innovative Geospatial Solutions schedule from November 9 to 11, 2017. Johannes Kapser defends his PhD Thesis "Modeling of thermal lifts"
Johannes Kapser, PhD candidate at Z_GIS successfully defended his PhD Thesis “Modelling of Thermal Lift: Techniques for Mining Thermal Eddies from Aerial Movement Data”. Being a passionate glider pilot Johannes’ research was all centred around the core question “how to model thermal lift based on collectively sensed aerial trajectory data”. Therefore he approached this central research question through three main research themes: thermal lifts, trajectory parameters and patterns, and data-based deterministic and probabilistic modelling. 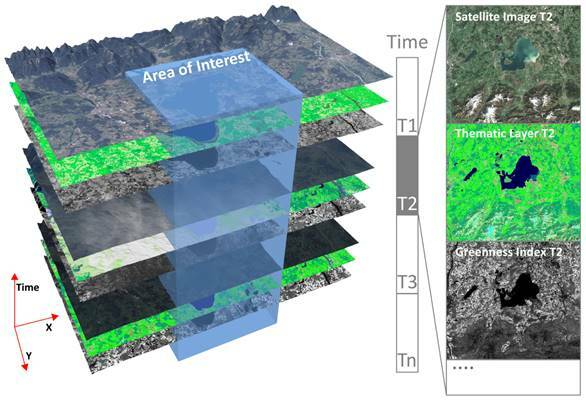 As one of his major results, Johannes came to the conclusion that there is great potential in the explict geospatial modeling of thermal eddies for better understanding of thermal processes in different environments. The successful modeling of the relation between environmental context and thermals can also accelerate research in the direction of thermal prediction for secure identification of thermal lifts. A very international audience followed Johannes’ impressive and challenging presentation and actively participated in the lively discussion between after the evaluators, Dr. Josef Strobl and Dr. Robert Marschallinger, both from Z_GIS at the University of Salzburg were satisfied with all their questions. Dr. Thomas Blaschke as the main supervisor acted as the chair. Johannes works for a private company in the Munich aerospace industry. We wish him well on his road to a successful career in industrial research! Congratulations to Bernd Resch and the "Urban Emotions" project team! 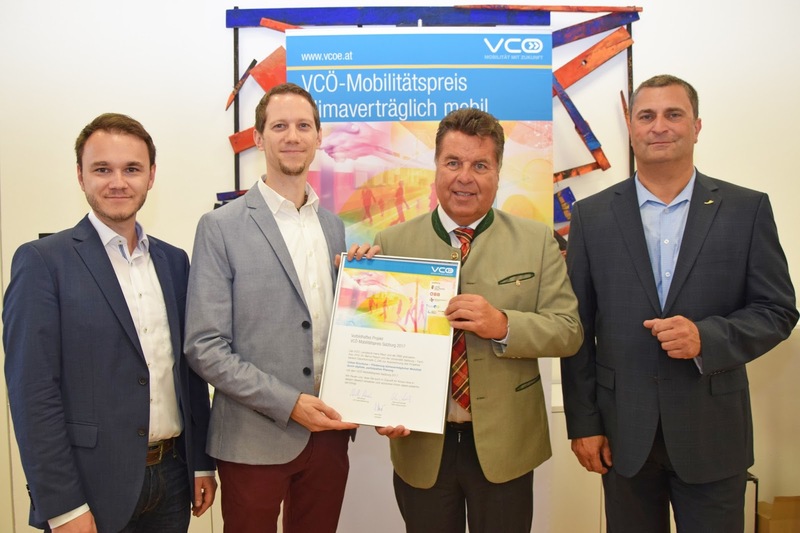 The project was awarded second at this year´s "VCÖ Mobilitätspreis Salzburg". The prize is awarded annually by the Austrian traffic organisation Verkehrsclub Österreich (VCÖ). 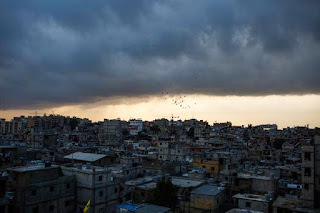 The "Urban Emotions" project aims to establish a more citizen-centric view of urban planning through integrating emotional responses to their environment. Do they feel comfortable or are they scared in underpasses or at traffic hotspots? b) from social media: analysis of publicly accessible data from social networks like Twitter, Facebook , Flickr and Instagram using semi-supervised machine learning algorithms. 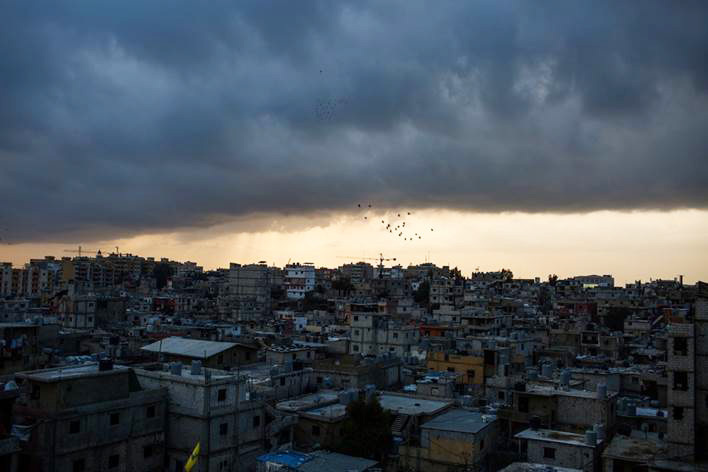 The project aims to promote climate-friendly mobility and citizen-centered urban planning. 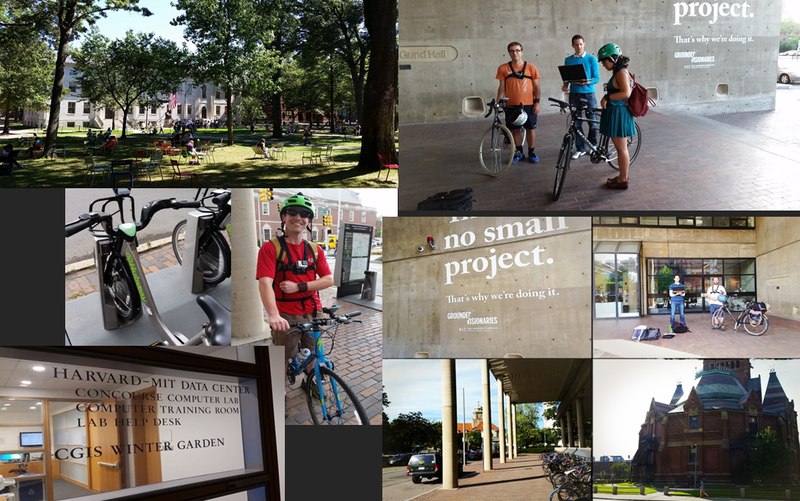 Field studies in Kaiserslautern and in Boston are already concluded. In the aftermath of the project, the city administration of Kaiserslautern already improved the infrastructure and security for its bikers and initiated awareness-building programmes for climate-friendly mobility. 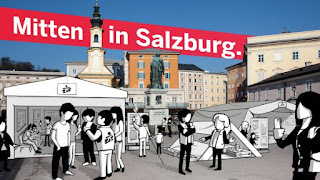 The next field study will be conducted in the city of Salzburg. 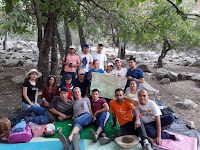 Within the Erasmus+ “International Credit Mobility” programme (KA107), Sabine Hennig (Z_GIS) is currently lecturing and leading workshops and tutorials at RTS University in Dushanbe and subsequently at Khorog State University (Tajikistan). 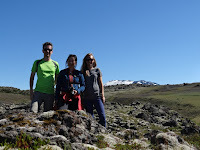 Focusing on the benefits of applying Web GIS in tourism and recreation planning and management, she is also providing students with an introduction to GIS and spatial analysis methods. The KA 107 programme is key to academic mobility with (non-EU) partner countries. 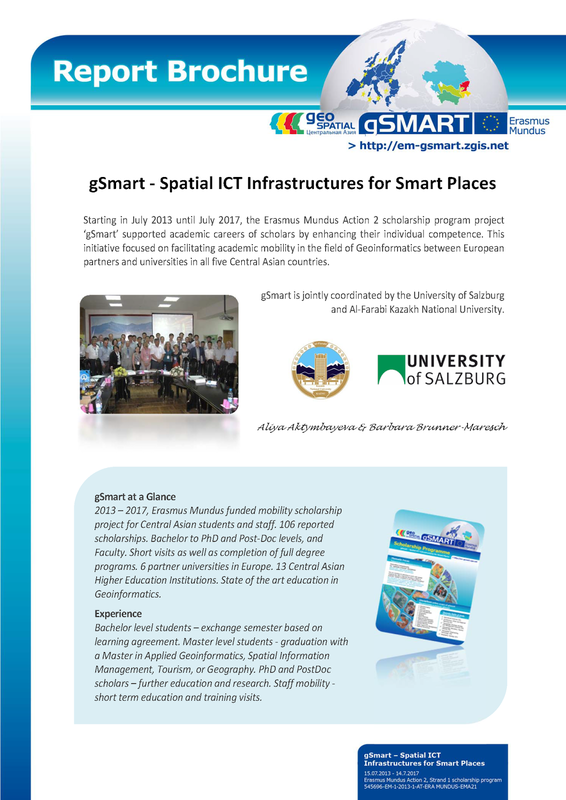 We invite you to explore the 'gSmart' project's report brochure which provides comprehensive information on the Z_GIS coordinated Erasmus Mundus scholarship mobility project 'gSmart - Spatial ICT Infrastructures for Smart Places'. Today, the Joint Coordinators have submitted the Final Report to the EACEA office in Brussles, the project has been successully concluded on July 14, 2017. 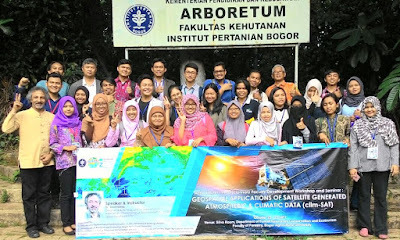 These gSmart scholarships focused on all levels of study, with the anticipation that this study and research mobility will in turn create new job opportunities, contribute to the enhancement of quality in teaching and learning of Geoinformatics as well as advancing research activities in this interdisciplinary domain. Further information on mobility flows provide the scholar's e-portfolios and 'Success Stories'. This interactive and dynamic maps on gSmart mobilities from Central Asia to Europe are showing all project scholarship mobility flows >> http://arcg.is/1sEBB5H. 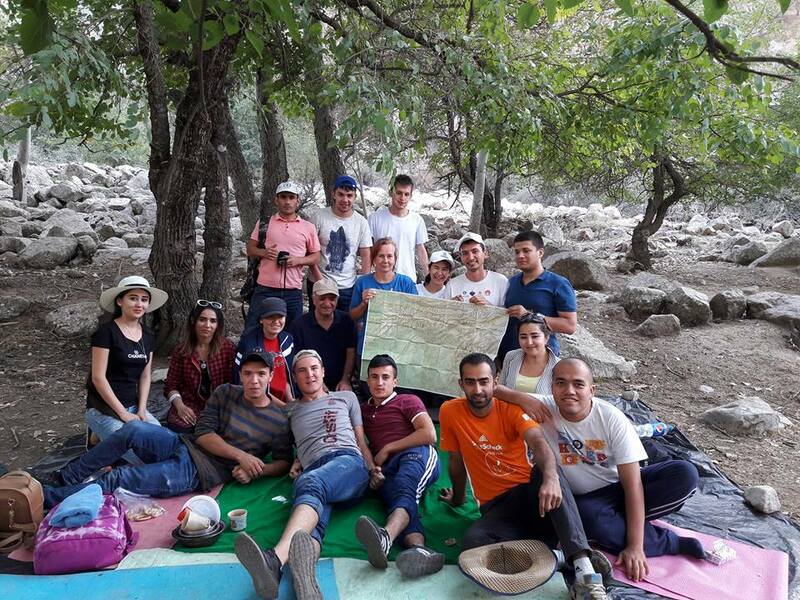 2013 – 2017, Erasmus Mundus funded mobility scholarship project for Central Asian students and staff. 106 reported scholarships. Bachelor to PhD and Post-Doc levels, and Faculty. Short visits as well as completion of full degree programs. 6 partner universities in Europe. 13 Central Asian Higher Education Institutions. 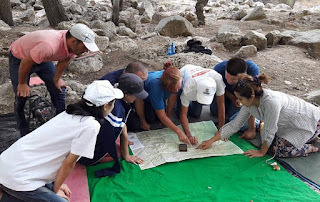 State of the art education in Geoinformatics. KA107 - this sounds like a mysterious code providing secret access to something highly desirable, and it is exactly that: this EU programme is key to academic mobility with (non-EU) partner countries. Z_GIS has a long tradition of facilitating (predominantly) incoming mobility by students and faculty. 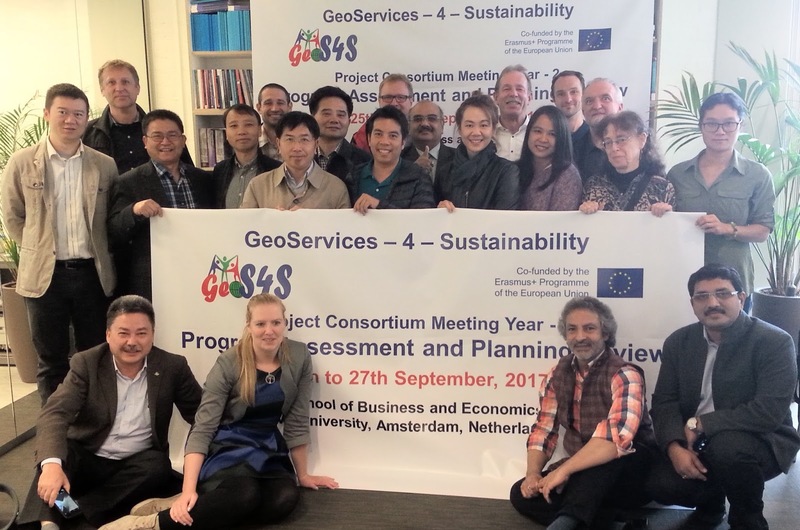 More than 100 mobility scholarships were the core element of the recently completed gSmart project, and play an important role in the current GeoS4S initiative. 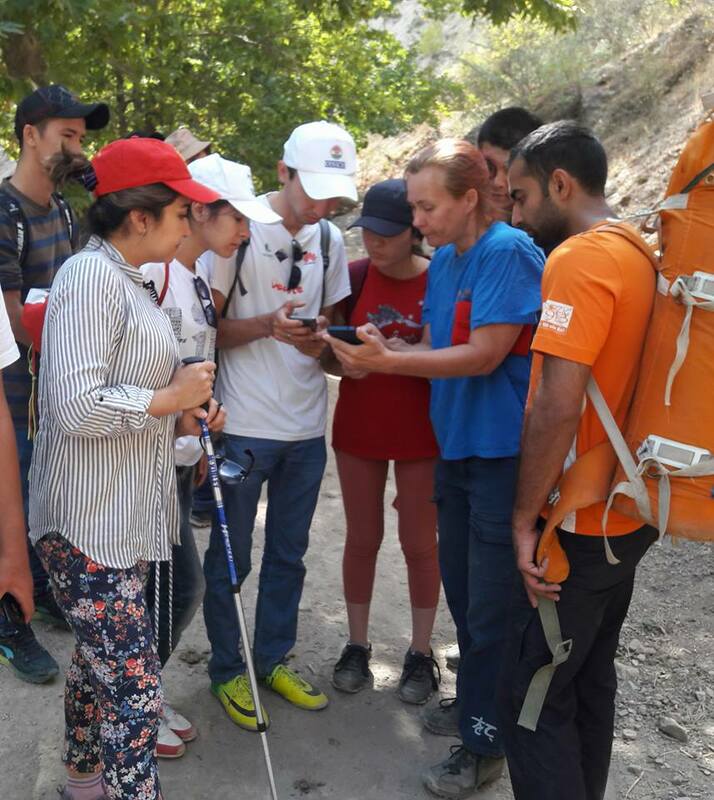 The ongoing KA107 scheme is entirely focussed on academic mobility, with Z_GIS successfully participating with our partner institutions across a wide range of partner countries: these include the Central Asian republics of Kyrgyzstan, Tajikistan and Uzbekistan as well as Bhutan, Nepal, India, Thailand, China, New Zealand and Australia. Prof Josef Strobl, Head of Department @Z_GIS states: "We are looking forward to welcome programme participants from universities in these countries and expect them to enrich the international character of our department as well as study programmes, and vice versa take home valuable knowledge, experiences and friendships." From a broader perspective, Paris-Lodron University Salzburg (PLUS) clearly is a leading university in cooperation with partners worldwide. Compared to other Austrian Higher Education Institutions, PLUS within KA107 organizes a dominant share of Austrian student and faculty mobilities with partner institutions in Africa, Asia and Latin America. Through highly rated and successful applications within the Erasmus+ 'International Credit Mobility' (KA107) program PLUS already has secured 1.6 million Euro in funding, available to attract excellent students and faculty from leading institutions worldwide, as well as opening doors for Salzburg students and academics at these partners. "This raises the international visibility of Salzburg, increasingly being recognized not only as a cultural highlight, but also as an academic hub for higher learning and cutting-edge research" says Peter Mayr, Director for International Relations. For details regarding International Credit Mobility (KA107) funding across Austrian institutions, please refer to https://bildung.erasmusplus.at/de/hochschulbildung/internationale-mobilitaet/mein-laufendes-projekt. 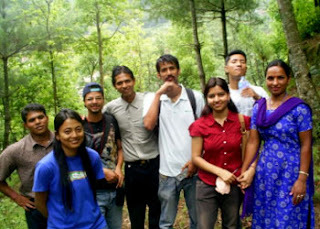 agri-HIMAL workshop completed in Nepal. The GIScience Commission of the Austrian Academy of Sciences, the Interfaculty Department of Geoinformatics - Z_GIS, University of Salzburg, Austria and Tribhuvan University (TU), Kathmandu, Nepal jointly organised a regional workshop on 'GIScience Assessing the Feasibility of Agricultural Diversification in the Himalayas (agri-HIMAL)' in Kathmandu, Nepal from 27 to 31 August, 2017. Dr. Shahnawaz (Z_GIS) and Prof. Krishna Poudel (CDE) coordinated this workshop hosted by the Central Department of Education (CED-TU). The Eurasia-Pacific Uninet (EPU), the event brought together 23 teachers, students and practitioners from Nepal, Bhutan and Austria. The opening ceremony attended by the workshop participants and dignitaries from various academic and administrative departments of TU was chaired by Prof. Krishna Prasad Gautam (Dean, Faculty of Education). He expressed appreciation of the ongoing cooperation between the GIScience Commission, Z_GIS and TU as well as conveyed thanks to the EPU for supporting such joint activities. The participants learned about the physical, climatic and socio-economic specifics of the Himalayas through a series of lectures. They did 'hands-on' practical exercises on ArcGIS and MaxEnt software to process and analyse various geospatial datasets for assessing the feasibilities of agricultural diversification in the Himalayas. The Rector of TU, Prof. (Ms). Sudha Tripathi, conferred the 'certificates of successful completion' on the participants. All participants appreciated the organisation of the workshop and expressed a high level of satisfaction about their learning outcomes within the short period of one week, and envisaged to expand academic cooperation between their respective institutions and Z_GIS.